I’m so proud to once again be working with Gold Standard Nutrition. For years now they’ve been delivering some of the best ingredients to the nation and I’m so pleased to be part of their team once more! 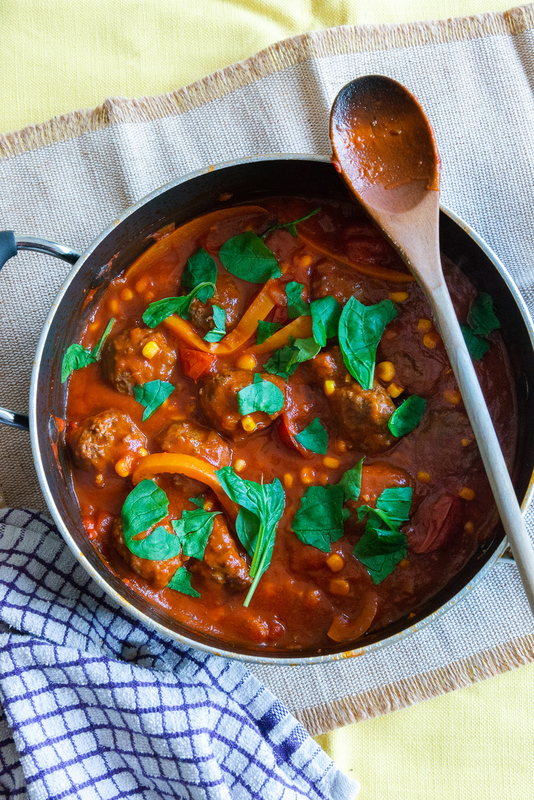 Today’s recipe combines their delicious beef meatballs from the newly launched ‘Butcher’s Selection Range’ – this is butcher’s quality meats directly to your door with them being frozen as fresh so you have plenty of time to decide what to make with them! This recipe is so easy to put together and have ready in no time. 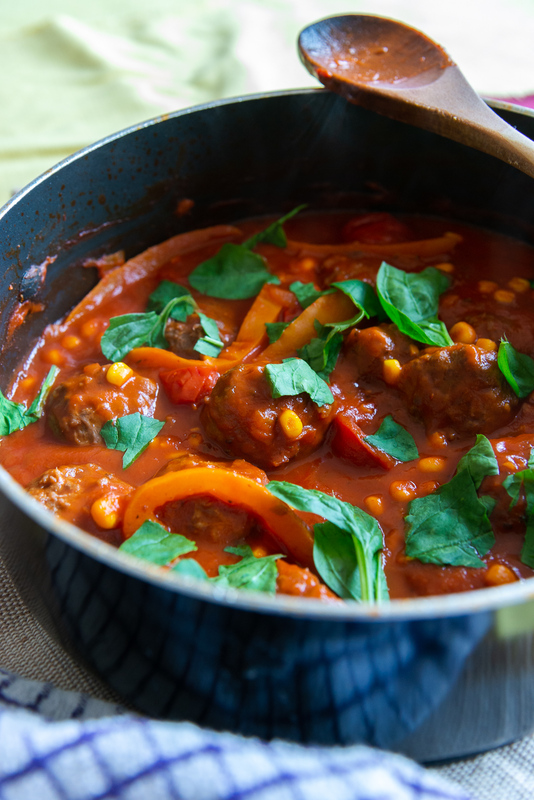 You just add the ingredients to the pan at different stages and that’s pretty much it. Minimal prep required but a really delicious (and healthy!) dish for you to enjoy! Place a large casserole dish on a medium heat and add the olive oil. Once hot enough add the peppers and onions along with a good helping of salt and pepper then fry for 4-5 minutes until softened. Next add the meatballs along with the garlic powder, onion granules, dried oregano and smoked paprika and continue to cook for 10 minutes, turning the meatballs regularly so they brown equally on all sides. After the time is up add the passata, barbecue sauce and honey then place the lid on and cook for a further 15 minutes, stirring occasionally. With 5 minutes remaining remove the lid then add the cherry tomatoes, sweetcorn and spinach then serve with the fresh salad and couscous. This entry was posted in Blog, Recipes by Dan Fields. Bookmark the permalink.